Savour the road less travelled from Canada’s breathtaking west coast, through the towering fir forests and sprawling vineyards of British Columbia, across the border to Alberta’s windswept prairies and pristine lakes. 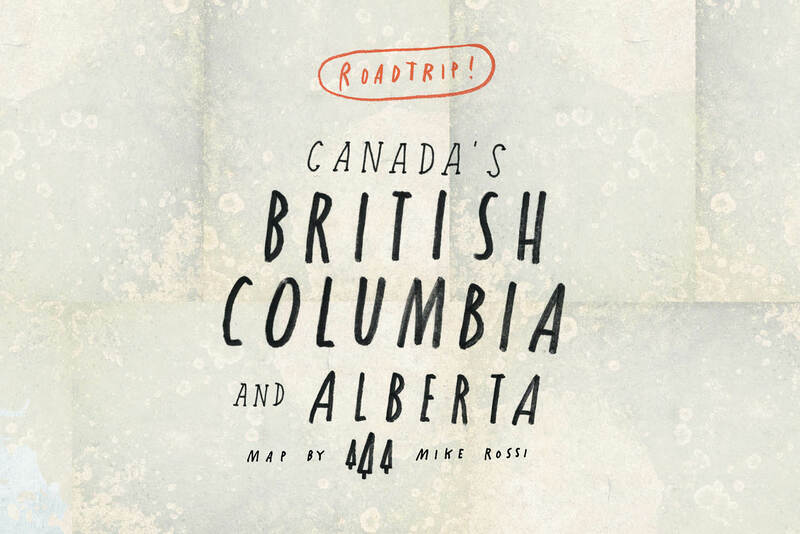 Our guide below will help you make it a road trip to remember. 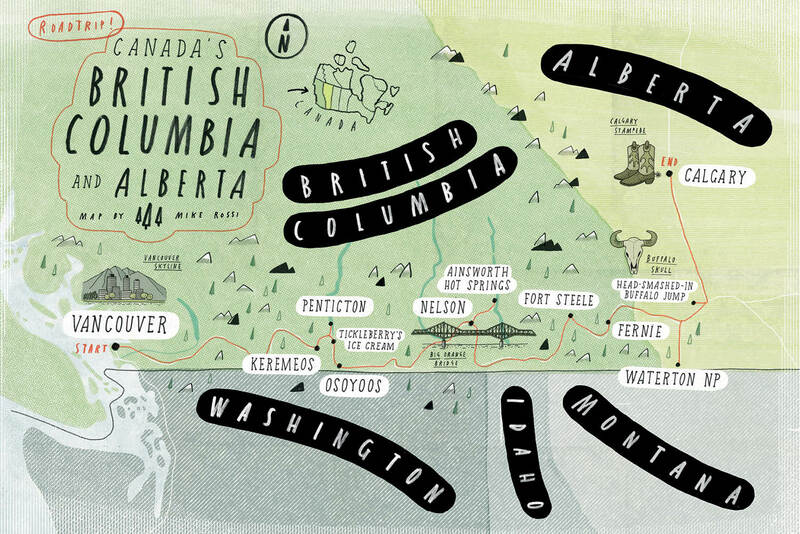 Download and print our clickable map and itinerary here and read all our British Columbia and Alberta stories here. DAY ONE VANCOUVER ISLAND, BC. Tip: Take a sea plane over to Victoria Harbour and set out on a discovery of small-scale producers and charming pine forests. DAY TWO VANCOUVER TO PENTICTON, BC. Tip: Before you begin your journey, spend a few days in Vancouver perusing the multitude of delights hidden within the city’s distinct neighbourhoods. DAY THREE PENTICTON TO OSOYOOS, BC. Tip: Enjoy a roadside snack at iconic ice cream parlour, Tickleberry’s. DAY FOUR OSOYOOS TO NELSON, BC. Tip: Hire an electric bike for assisted pedaling when cycling around Nelson’s stunning (but hilly) township. DAY FIVE NELSON TO AINSWORTH, BC. Tip: If visiting in August, visit nearby Kokanee Glacier Provincial Park to see the annual salmon spawning. DAY SIX AINSWORTH, BC, TO WATERTON, AB. Tip: Break up the drive by staying overnight in the picturesque ski mecca of Fernie, BC. DAY SEVEN WATERTON TO CALGARY, AB. Tip: Don’t miss one of Canada’s most underrated UNESCO sites, Head-Smashed-In Buffalo Jump.